South Carolina Wildlife intern Grant McClure visits Waddell Mariculture Center where he meets Director Erin Levesque, and partakes in a sampling for spotted seatrout. I pull up to the Waddell Mariculture Center on a warm July morning where Director Erin Levesque prepares a net. Towed by a golf cart, the sled-style net is designed with tiny mesh for sampling seatrout. After preparing the net, Erin guides me around the sleek new lab in the indoor facility. We enter a warehouse space filled with fish tanks, including a twenty foot pool designed to accompany spawning cobia. Last year, Waddell introduced ten juvenile cobia into the Port Royal Sound to help conserve a genetically distinct population. The new climate controlled facility, scheduled for completion in November, will allow researchers to breed fish populations year-round by manipulating light and water temperatures. These incubators are part of a research grant that aims to protect the diamondback terrapins found in the Lowcountry salt marsh. Comprehensive Wildlife Conservation lists diamondback terrapins as a high priority species for conservation. Erin describes a new attitude toward protecting terrapins. “The idea is to take a more proactive approach to species extinction. We want to know if accelerated growth in terrapins translates to accelerated breeding.” In addition to growth and reproductive studies, the terrapin research examines nutrition and wintering habits. As a kid, I hand-lined crab baskets off my grandmother’s dock on the Whale Branch River in Beaufort County. On occasion I pulled up diamond back terrapins snacking on my chicken neck bait. The marine turtles felt hefty in the crab basket. I released the terrapins to live another day after admiring their speckled black-and-white pattern, webbed feet and hawk-like bill. Other terrapins are less fortunate, and drown in commercial crab traps, unable to surface for air. Bycatch Reduction Devices (BRDs) limit terrapin entry rates in crab traps, but may lower blue crab catch yields.  SCDNR researchers are working on a new BRD that satisfies conservationist and the commercial fishing industry. Back outside Erin’s staff samples a pond stocked with ten-day-old spotted seatrout. The fish grow faster during high temperatures like today. The morning sun beams down on our necks while we walk between the rows of saltwater ponds. Water pumped straight from the Colleton River bordering the property fills the ponds. Filters separate unwanted microorganisms and larvae. However, the mesh allows the entry of plankton that comprise the base of the fish food-chain. Erin’s team drives the golf cart, which drags the net at a slow, steady pace. She explains what we’re looking for: “This sampling gives an indication of growth. Most of the fish here grow for about thirty days, then we release them. These ten-day-old fish should be anywhere from thirty to thirty-five millimeters.” The sampling happens twice a week. A ten-day old seatrout fry. The biologists empty the net, then scan for the rice grain-sized fry. At this size, they identify the seatrout by their disproportionate eyes. In another twenty days, these fish will be escorted from the warm, sheltered ponds at Waddell and stocked in designated locations across the Lowcountry. Growing up I used to motor a sixteen-foot johnboat up McCauley Creek to a bend with an oyster point. On the incoming tide I drifted popping corks along the edge of the spartina grass, where seatrout sucked down my live shrimp. Today, the trout are few and far between at the oyster point. As a result of a cold snap in January 2018, SCDNR encouraged anglers to catch-and-release spotted seatrout until the end of September to allow the fish to spawn. The work conducted at Waddell takes on a special significance at a time when wild fish populations are struggling. A juvenile red drum ready to be stocked. The seatrout sampling finishes, and we walk to a pond stocked with red drum for kids fishing rodeos, then to a pond hosting adult diamondback terrapins. I get ready to leave, but decide to walk out on the dock at Waddell that looks over the Colleton River. A blue crab scuttles across a shallow mud flat. Schools of mullet leap out the water. A wood stork flies overhead. Strolling toward land, I think about how the research conducted at Waddell protects the balance of the Lowcountry’s ecosystem. From cobia to terrapins to red drum the work of SCDNR’s fisheries biologists ensures future generations can enjoy our state’s natural resources. Come October, I will ride the johnboat down to the oyster point, throw my line in the water and hope for the familiar tug of a spotted seatrout. Read more about terrapin research. Grant McClure is a senior at Wofford College.